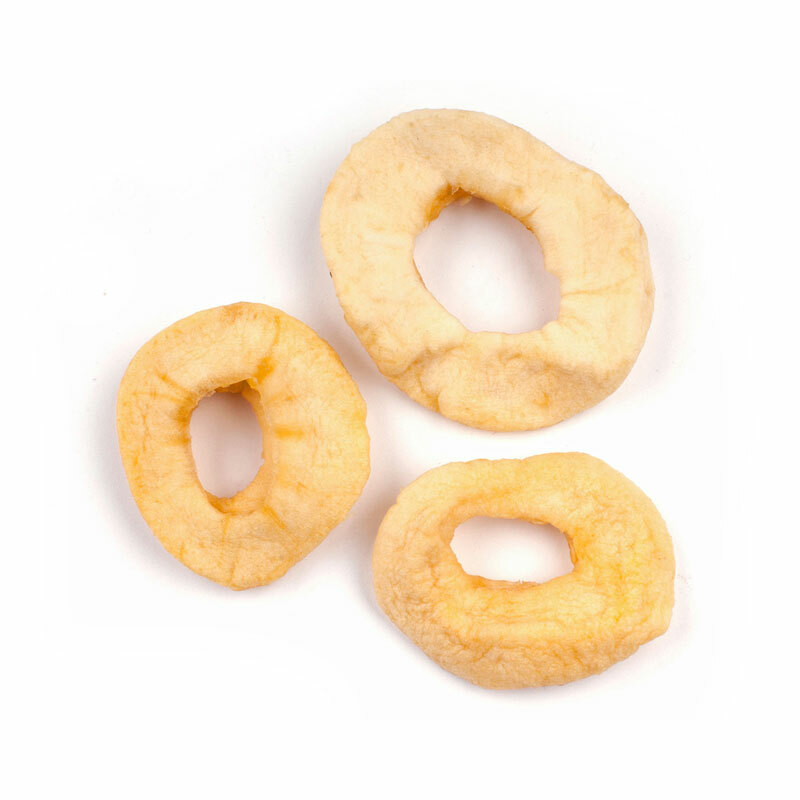 Apple Rings come from peeled, cored whole apples, sliced into rings and dried to a uniformly moist and sweet product. Between 2 and 4 inches wide. Whole, Sun-dried Turkish apricots are a beautiful bright orange in color with a delicate, sweet flavor. Use dried banana chips in baked goods, salads, sauces, stuffings, trail mixes, hot cereals, muffins, scones, fruit cakes and for homemade ice cream. Hand-pressed fresh dates and walnuts make this a special treat. Pair with cheese, salads. These diced Deglet dates are about 1/4 inch in size. They are an economical alternative to the more expensive Medjool variety. Jumbo size dates with pits, approximately 16-19 dates per pound. Made with whole, premium Pajarero figs and Marcona almonds. The figs are destemmed by hand. One of the oldest and most important spices, Ginger has been cultivated in tropical Asia for over 3,000 years. Primarily grown in China crystallized ginger has been cooked in a sugar syrup and coated with coarse sugar. Contains Sulfites.